After a long day of midterms this week, a couple of my girlfriends and I decided to head over to the Carnegie Museum of Natural History to enjoy a little study break. The museum was beautiful, and so big that we couldn’t possible see it all in one afternoon. It made for a great outing! 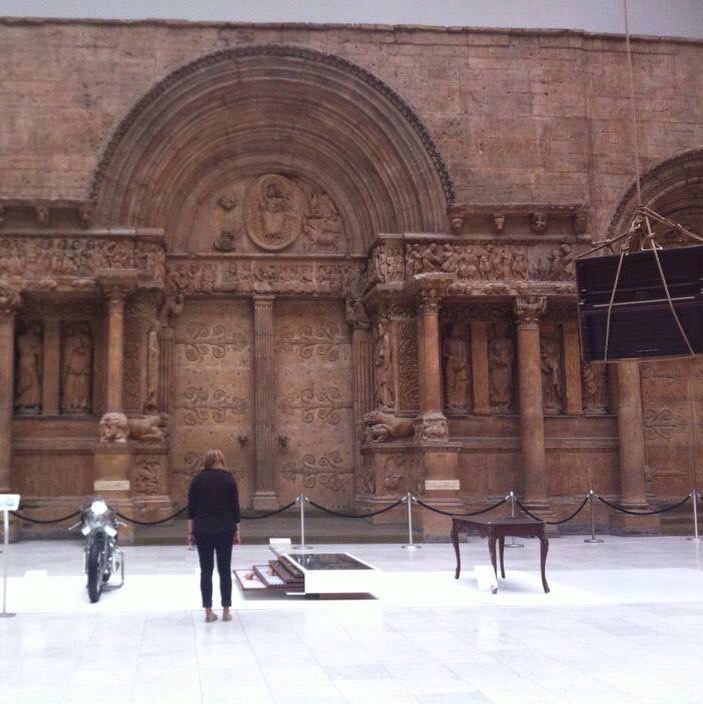 My friend snapped this shot while I admired some work by Sebastian Errazuriz. The exhibit was called “Look Again” and I thought the work was really interesting. I’m going to have to do some research on the artist! 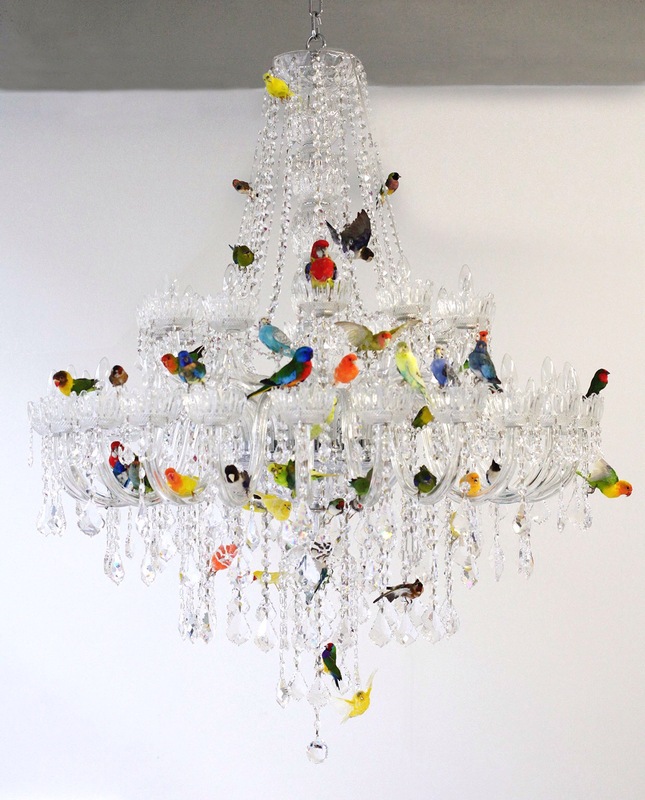 This bird chandelier by Sebastian Errazuriz was my favorite thing in the museum. I just love it! We also stumbled upon a cool exhibit called “Maggie’s Centers: Blueprint for Cancer Care,” which explained about the amazing houses designed for holistic cancer care. I thought the idea was amazing, but maybe it’s just me (my future profession kind of buys into holistic health, and I believe in it, too!). You can read more about Maggie’s Centers here. It was a fun afternoon, and I loved checking out another cool place in Pittsburgh. I’ve lived here almost 5 months now, and I still haven’t seen a lot of this city. It’s been a while. Life has been keeping me pretty busy lately! This whole grad school thing, I guess. I’m right in the middle of midterms week, and it seemed like a good time to take a little study break and write a blog post. So here I am. The weather made a big switch this weekend, and I’ve been sort of grouchy about it. Pittsburgh had a pretty nice September, most days were in the 70’s and we still had quite a bit of sun. But this weekend was freezing! And it’s been a cloudy/dreary/rainy week so far. I’ve already got my heavy blankets on my bed, and I’m still complaining about not being warm enough to sleep. I don’t know, I’m a cold sleeper. I like to have lots and lots of blankets to keep me warm. I am happy to greet October, which is definitely one of my favorite months. I love the changing air, the crunchy leaves on the ground, and, of course, Halloween. It’ll be a good month, I can feel it! I’m really excited for Halloween; I came up with an easy but fun costume that suits my personality perfectly, I hope to share a DIY with you all soon! It’s not too fancy, but I think it’s going to turn out great. I also made plans for Spring Break this week. Any guesses where I’m going? *hint* It’s warm and sunny! I can’t wait. I am not a winter person. Sure, I love snow, I love skiing and sledding and watching snow fall. But I just get really tired of the cold. I’m a little nervous about my first Pittsburgh winter–it’s supposed to be really gray here, and I get pretty moody without the sun. Hopefully it’s a mild one. I have a countdown on my phone until I get to go home. I check it every single day. I’ve also been pretty homesick lately. This is the longest time I’ve ever had to go without seeing my family, and I still have a long ways to go–I won’t be able to go home until winter break. It’s definitely really hard, I’m so close to my family and I miss my pets like crazy. I love my school and I’ve made some amazing new friends out here, but some nights are just hard and I want to buy a plane ticket home. If anyone has any tips for how to get through those little homesickness spells, I’d love to hear them! I’ve been managing by looking at lots of pictures of cats online! Anyway, this was probably the most boring life update in the history of blogs, but I promise I’ll try to post some interesting content soon! I’m hoping for this weekend, because we don’t have classes Monday (it’s Fall Break), but I can’t make any promises. I still somehow have a ton of homework to catch up on. Such is life.